During that trip to the Dominican back in 2007 (click here to read of those adventures), I was in my late 20's and doing some immense soul searching. One of those crossroads where life happens (continually, for a period of time) and you're left sorting out the pieces of the lessons and experiences. 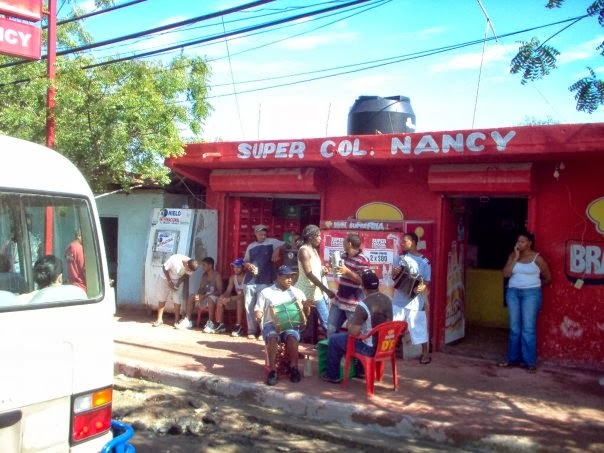 I had never traveled, not really, and had no expectations for that trip. I had sunscreen and a suitcase full of clothes, a bubba keg, a hat and a pair of sunglasses...and a very open mind. And here she was, by herself, fluently Spanish, living the life and the culture of this seaside area in the middle of a rainforest. I was in aww (so much love and respect for her). I listened to everything she told me :) ... the one thing that still sticks out the most, "if you're going to do it Heidi, do it...someday you'll be old and it'll be more difficult to learn the language and fit in with the area". (thank you Kris, gracias). So here I am, a few months out from my departure date (because I had decided that I was 'going' to Ireland) and my friend calls. She tells me that her and 2 of her girlfriends are going to Europe for 13 days and that she'd like for me to join them. At first I was like "yeah, maybe ... let me think about it" and in the end (thankfully) I decided to join them. It was the most wondrous of trips. None of us had been to Europe and now we'd be touring 4 Countries: Spain, Italy, Greece and Croatia. We'd spend time in Milan, Rome, Venice and Madrid and for the bulk of our journey, we'd be on a Cruise ship (sunset sailing out of Venice Italy...*please pinch me*). Bet you're wondering what on earth does this have to do with Spain?! haha. It has everything to do with it. Remember I had plans to visit Ireland, that's where I was supposed to be for these two weeks. :) Well, on the cruise ship, you can select who you'd like to have dinner with, table of 2, 4, 6 or 8. We all loved to meet people, so the four of us unanimously selected a table of 8. The first night on the ship, we arrived at our table and introduced ourselves to two couples, one couple there to celebrate their 45th Wedding Anniversary and the other couple, to celebrate their wedding (on their Honeymoon) ... guess where they were from!!! ...One from Ireland and one from Northern Ireland (are you kidding me!?!?) ...Thank you Universe. We were now having dinner every night with our Irish / Canadian Family of eight. :) And nothing I can put into words will ever describe this bond / relationship (love, absolute love). I had planned to visit Ireland that Fall and now, here I was each night, on this ship, discussing the adventures of Greece and Croatia as I learned of Ireland and it's history, landscape, customs and ... a heritage, better yet, a legacy. I underestimated at the time (and I'm still not sure I understand completely the ins and outs of this), just how significant the conversation at dinner would be that night. Day three, dinner on the cruise ship, whilst I was to be in Ireland, I sat next to the kindest man and his lovely wife and they shared with me their knowledge of a clause. Simply put, if my late Grandfather (a man who had passed five years before I was born), if my Grampy was born before a certain date, then I could be eligible for Citizenship. ...absorb that for a second. If my Grandfather was born before 1921 (in Northern Ireland), I could be eligible for citizenship. It doesn't interfere with anything I am now ...huh. So in 2011, I went to visit my new Irish Family. In those two weeks there, with their help, hospitality and guidance, I explored all four corners of the Emerald Isle (what an incredible place). 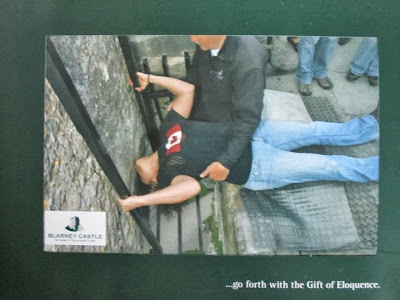 I made more friends, I kissed the Blarney Stone for my Birthday, even called my Nana from the top of the castle that day to tell her what I had done...(she's been widowed for over 40 years, and here I was exploring a land and the hometown of the man who had captured her heart...we both wept a little, just a little). A man, who without knowing me or what the future would hold, is responsible for this / these doors being swung open. OMG :) But I'd have never known had it not been for that Cruise, and that table, and those dear friends of mine. (Thank you...thank you). Upon my return, I was once again reassured that I could do this (hold both) and so I proceeded to apply for Citizenship. As the Universe wished, when I contacted Nana regarding the paperwork I would need, it seems my dear Grandfather had done all the background work necessary. The year before he passed, he was working on his passport to return home for a visit. Nana passed me an envelope of papers and absolutely ALL the documentation was there I needed to apply (I know! I know!). What does all this mean? ... with a valid Irish passport I can live and work in any of the European Member Countries without having a Visa (Spain is one of those countries). Skipping through all the very raw details of the past few years, rest assured the Universe has puts an iron fist down and said "you're going", on more than one occasion hahah. I received Citizenship and wasted no time in applying for my passport. "Red Carpet to Spain" ... just like that. Tons of support, hard work, determination and a Universe that ensures "everything happens for a reason" haha...and here we are. WAKING UP SPANISH.